3. Dry mouth can be treated with tart, sugarless gum or candy, water, or with saliva substitutes if dry mouth persists. 1. Use extreme caution during application; avoid contact with active systems. If contact occurs, wash area with water only. The eyes should not be touched. These systems can be a dermal irritant and cause contact dermatitis. 2. Any persistent skin irritations such as erythema, edema, or pruritus at the application site as well as any generalized skin reactions such as hives, urticaria, or a generalized rash should be reported and the system removed. 3. Follow manufacturer's guidelines for proper system application. Re view information sheet that comes with the product which contains instructions on how to use and dispose of the transdermal systems properly. 4. 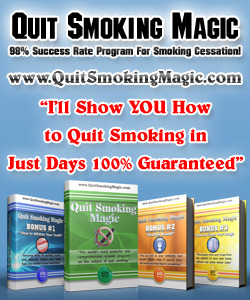 Stop smoking completely. If smoking continues, may experience adverse side effects due to higher nicotine levels in the body. 5. Participate in a formal smoking cessation program. The success or failure of smoking cessation depends on the quality, intensity, and frequency of supportive care. 6. Nicotine in any form can be toxic and addictive; nicotine transdermal systems may lead to dependence. To minimize this risk, withdraw use of the transdermal system gradually after 4-8 weeks of use. 7. Symptoms of nicotine withdrawal include craving, nervousness, restlessness, irritability, mood lability, anxiety, drowsiness, sleep disturbances, impaired concentration, increased appetite, headache, myalgia, constipation, fatigue, and weight gain; report if evident as dosage may require adjustment. 8. Change site of application daily; do not reuse for 1 week. 9. With Nicotrol, remove patch at bedtime and apply upon arising. 10. Keep all products used and unused away from children and pets; sufficient nicotine is still present in used systems to cause toxicity. 11. If therapy is unsuccessful after 4 weeks, discontinue and identify reasons for failure so that a later attempt may be more successful.